Third Dimension has produced two winners in the one week! 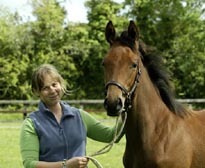 We are experiencing a wonderful season with our homebred horses. The Richard Hannon trained two year old colt Bahceli (Mujadil - Miss Shaan) got the ball rolling early in the season with two wins from two starts. This was followed up by the three year old colt Bobbyscot (Alhaarth - Sogno Verde) with his second place in the Group 3 Gallinule Stakes. He has been sold to continue his racing career in Dubai. 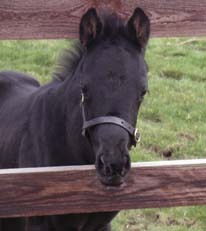 Not to be outdone by the other mares, Third Dimension produced two winners during the past week. Third Intention, a big,correct quality colt by Azamour won his maiden in very convincing fashion. He has all the hallmarks of a progressive staying horse. 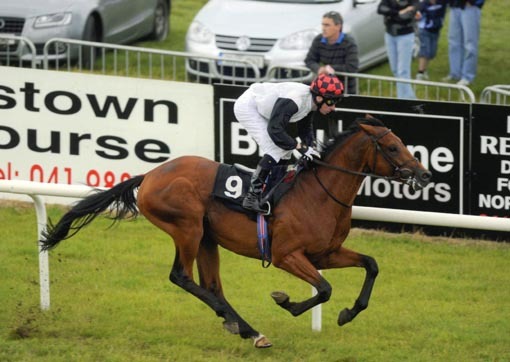 His sister Theola (by Kalanisi) proved just this when she battled bravely under 10stone topweight in a 2 mile race at Chester, that was not run to suit her at all. This was her third career win. 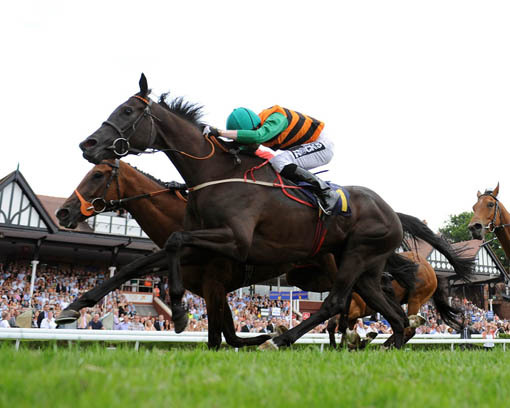 She now sets her targets higher and is aimed at a £ 50,000 2mile handicap at Goodwood. Khatela also did her bit when her two year old Invincible Spirit filly Peters Spirit finished third in a 6f maiden on her second start. 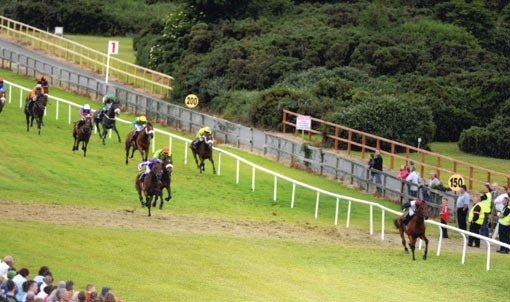 Third Intention winning his maiden by a big margin (left), with his trainer Ken Condon and jockey Des Mc Donogh (middle) and with Frank Mc Govern (right). This is the first win in Ireland for the black and white colours of my father Richard. A special mention of thanks must go to both trainers: Mark Tompkins who handles Theola with great patience and care and who really believes in her ability Check out Mark\' great website at www.marktompkins.com. And well done also to Ken Condon who gave this rangy, big colt plenty of time to mature. 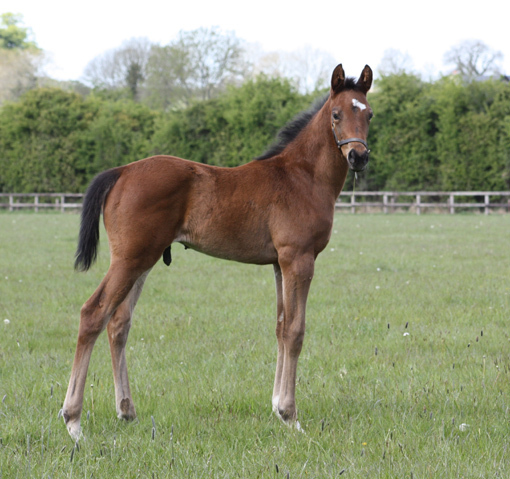 The Lawman - Third Dimension colt appears confident that can live up to expectations!